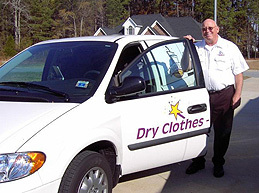 Sterling VA – According to the Northern VA Dryer Vent Cleaning Wizard, more than 80 percent of American homes has a clothes dryer; yet only about 20 percent understand the importance of dryer vent maintenance to prevent fires. Over 17,000 dryer fires occur annually with failure to clean dryer vents being the number one cause. 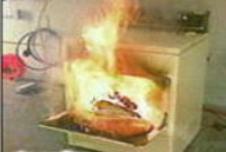 90 percent of all appliance fires are dryer related. Doug Bittner, owner of Dryer Vent Wizard is on a mission to eliminate dryer fires in his community by educating customers while providing an important home service. He explains to all his customers the warning signs indicating the need for dryer vent cleaning including increased drying time, little or no lint on the lint screen, excess lint left on clothing, dryer stopping during a cycle, clothes are hot to the touch or have a moldy smell after a cycle, or the top of the dryer heating up while running. The Wizard makes sure his customers understand that in addition to being a fire hazard, poorly vented clothes dryers use substantially more energy, costing up to an additional $300 per year to operate. Gas dryers must be properly vented to prevent carbon monoxide poisoning. Doug Bittner is confident that he is making a difference in his community, as are 60 Wizards across the nation, working to reduce the frequency of dryer fires. As a result of their efforts, as well as media attention from the CPSC and NFPA, the number of dryer fires has dropped by 35% from the 24,000 that occurred annually in the late 1970’s. Dryer Vent Wizard works to make clothes dryers safer and greener by providing professional dryer vent installation, periodic dryer vent cleaning and dryer vent repair service for homes and businesses. Visit http://www.northernvirginiadryerventcleaning.com/ to learn more. Sterling VA – The Northern Virginia Dryer Vent Cleaning Wizard is committed to spreading the word about the importance of dryer maintenance to prevent dryer fires and eliminate several other dryer related hazards. Periodic dryer vent cleaning service is important for keeping dryers operating safely and efficiently. According to the Wizard, poor ventilation is the cause of most dryer performance problems. Lint accumulation restricts airflow, causing a dryer to work longer and harder to dry each load, resulting in higher energy bills, and eventually, a dryer fire. Lint is highly flammable, so all it takes is a spark from inside the dryer to start a rapidly spreading fire. Dryer vent cleaning is the solution to this problem. 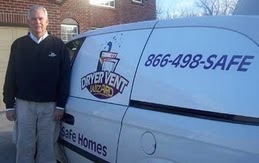 Doug Bittner owns Dryer Vent Wizard (http://www.NorthernVirginia.DryerVentCleaningNow.com) of Northern Virginia. He is dedicated to educating the customer while performing an important service so they understand how their dryer vent system works and how to keep it operating safely and efficiently. Doug’s customers appreciate his concern for their safety and his dedication to excellence. Doug appreciates the referrals to help his business as well as eliminate dryer fire hazards in his neighborhood. Dryer Vent Wizard is the largest chain of dryer vent service providers in the nation with 60 franchised locations. 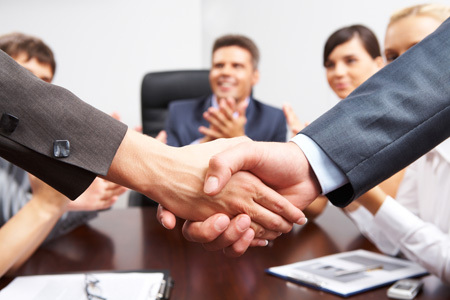 Doug Bittner serves residents and business owners in Northern VA, Arlington, Sterling, Herndon and nearby cities and communities. Visit http://www.northernvirginiadryerventcleaning.com/ to learn more. Northern VA – The Dryer Vent Cleaning Northern Virginia Wizards promote their message all year round; however, they step up the effort during National Fire Prevention Month each year in October. Doug and Janice Bittner, owners of Dryer Vent Wizard, remind residents that the frequency of dryer fires increases during the fall and winter months. This is also the time when people show spirit for National Fire Prevention Month by eliminating fire hazards in the home. Fire Prevention Week was established to commemorate the Great Chicago Fire, a tragedy that occurred in 1871. The devastation caused more than 250 deaths and left over 100,000 people homeless as more than 17,000 buildings were destroyed. The 2,000 acre fire began on October 8 and did most of its damage on the 9th. Dryer Vent Wizard (http://www.NorthernVirginia.DryerVentCleaningNow.com) shows their spirit during fire prevention month by encouraging consumers to have their dryer vent inspected to be sure it is operating safely and efficiently. Survivors of the fire never forgot what they had been through. The fire changed the way that firefighters and pubic officials thought about fire safety. On the 40th anniversary of the Great Chicago Fire, the Fire Marshals Association of North America decided that the date of the fire would be observed by promoting public awareness on fire prevention. In fact many organizations observe National Fire Prevention Week and consider the entire month of October to be Fire Prevention Month. Over 17,000 dryer fires occur each year with failure to clean dryer vents being the number one cause. The Wizards encourage their customers to have their dryer vents cleaned regularly to eliminate fire hazards and improve dryer performance. Dryer Vent Wizard is the largest chain of dryer vent cleaning companies in the nation U.S. with nearly 60 locations nationwide. Doug and Janice Bittner serve residents and business owners in Northern Virginia, Sterling, Arlington, Leesburg and neighboring cities and communities. Visit http://www.northernvirginiadryerventcleaning.com/ to learn more.